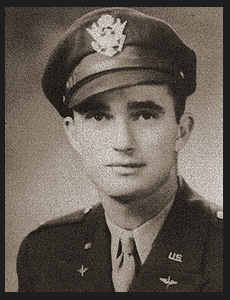 1st Lt. Herbert Lorance McCullough, graduated from Tipton High School and attended Univ. of Okla. Entered Air Corps in Sept, 1942, trained in San Marcos, Texas and Alexandria, La; went overseas in Oct, 1944, served in England. Awarded DFC, Air Medal with a three Oak Leaf Cluster, ETO Ribbon with three Battle Stars.